There are so many hotels in Berlin, that choosing one can be quite a hard task, especially if you don’t know the city and are not sure which neighbourhood would be the best to stay in. Most people’s checklist for a good hotel in Berlin for a short break or a long holiday includes cleanliness, safety, friendly staff, and location (near public transport, but not affected by noise). The good news is that we’ve already done some research and found some suggestions on the best hotels in Berlin. If you want to be central, have a 5 star hotel, and a giant fishtank in the hotel lobby, then it doesn’t get much better than the Radisson Blu. It’s right in the heart of Berlin, at Alexanderplatz. Even if you don’t stay at the Radisson, you can still pop in just to check out the giant fishtank – it’s really worth a visit! Moving onto another neighbourhood, the Michelberger Hotel is popular for its cool crowds hanging out at the hotel bar. A couple of streets away, in Friedrichshain, you have Simon-Dach-Straße, which is also full of bars and restaurants. So if you fancy an alternative atmosphere and a great choice of places to go out, this might just be the right hotel for your trip to Berlin. Speaking of alternative, how about an old converted stasi (the state security service in East Germany back in the day) building that is now a hotel? If you want to incorporate some history into your stay, the Lux 11 might be the hotel for you. Located near Torstraße, another fantastic street full of places to eat and places to go out in Berlin, you won’t have to walk far to find entertainment during your stay. All of these hotels are in fantastic locations, surrounded by many restaurants, bars, museums, art galleries, and a vast number of activities, allowing you to enjoy your stay and see how the Berliners live. Truth be told, you probably won’t spend much time in the great hotel you end up choosing rather than the attractions surrounding it. Therefore if you like to go out and have some drinks go for the Friedrichshain neighbourhood. 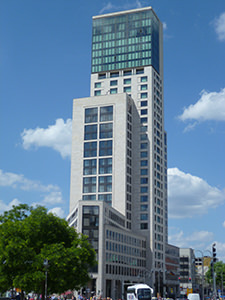 If your top priority is a central location then go for Berlin Alexanderplatz. Choosing the right hotel in Berlin is all about what you want to do while in this incredible city. 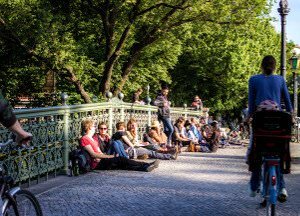 With the task of finding a hotel in Berlin out of the way, your next task is to find things to do. Wait, we’ve done that for you, too! 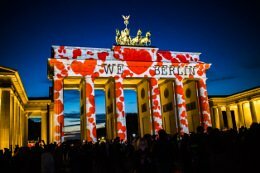 Check out our tips on what to do in Berlin.